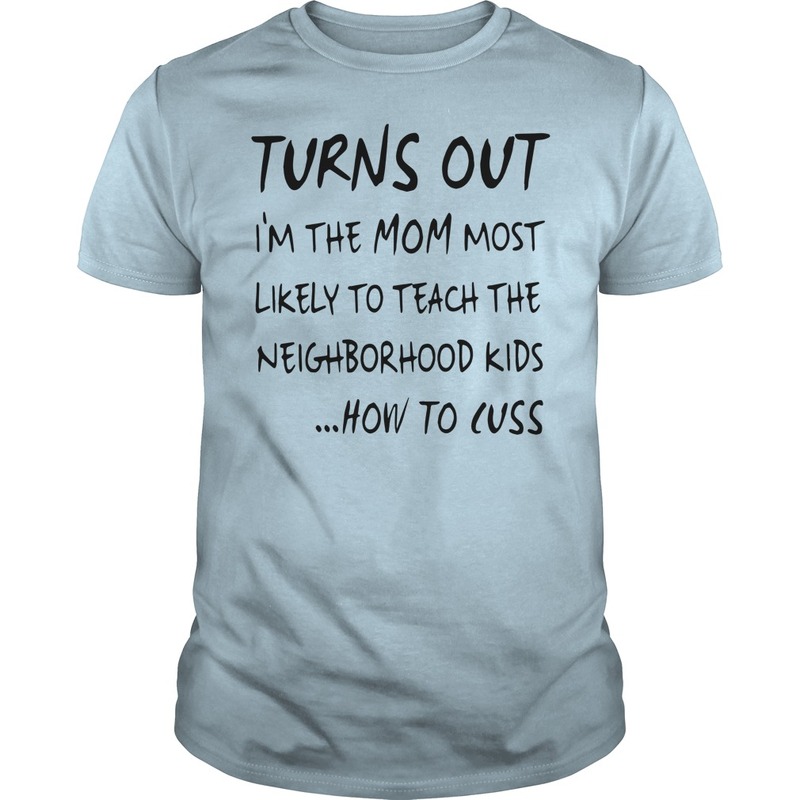 Turns out I’m the mom who most likely to teach the neighborhood kids how to cuss shirt is available. 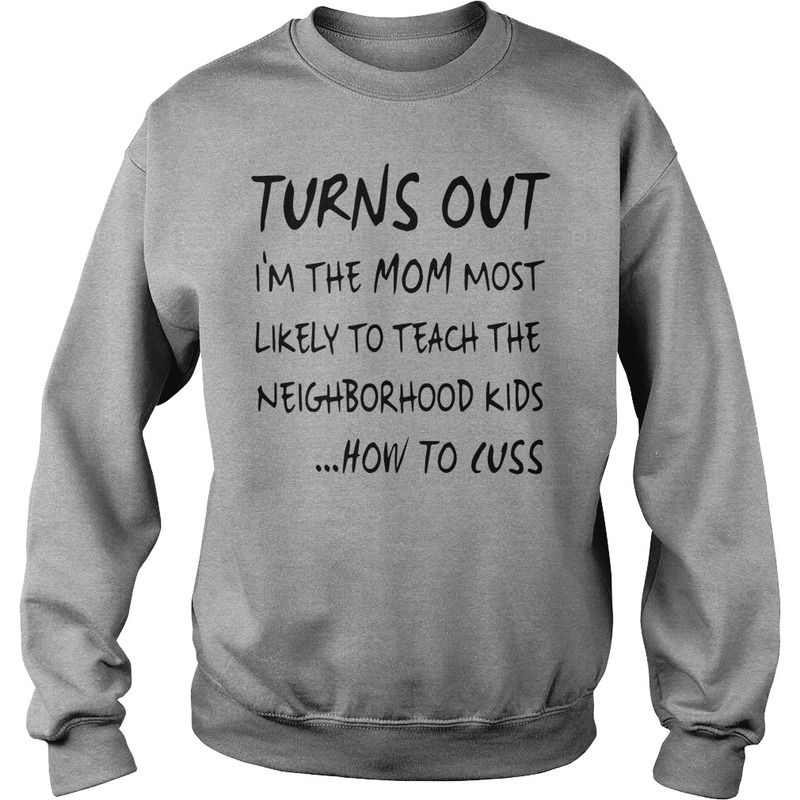 Just some personal ramblings… I am exactly the same person at home that I am in public. Same person in public and at home that I am in church. Same person at home, church and public as I am on the weekends. I don’t drink, smoke or cuss and that will Never change. Still the same! REAL! 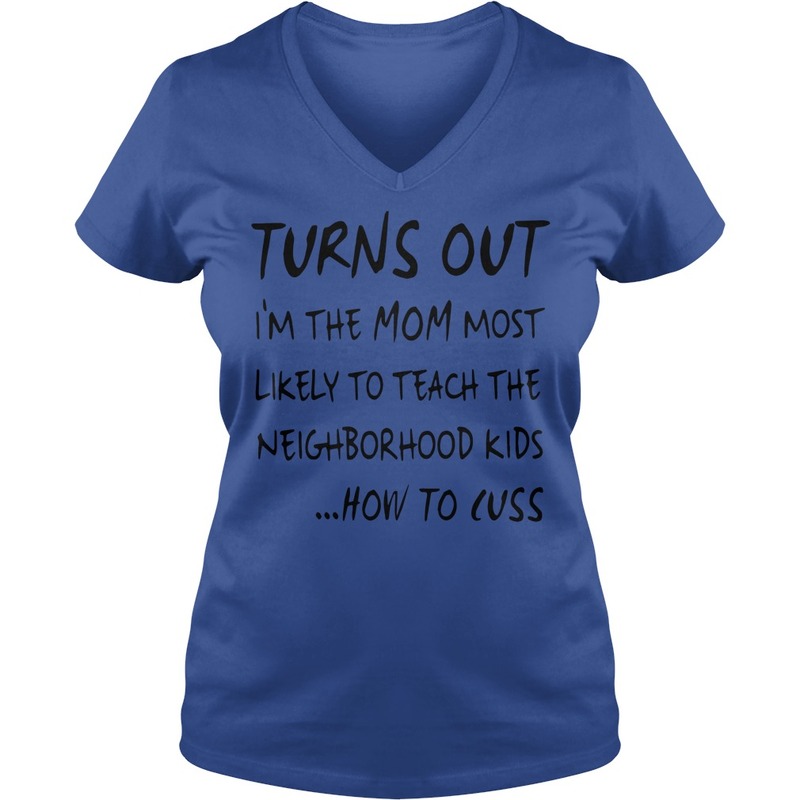 I am a mother of 8+ children! Been fostering for 7 years. Fostered over 138 kiddos. Adopted 6 and currently fostering 2. My oldest son has moved out and I miss him so much but he’s an adult! 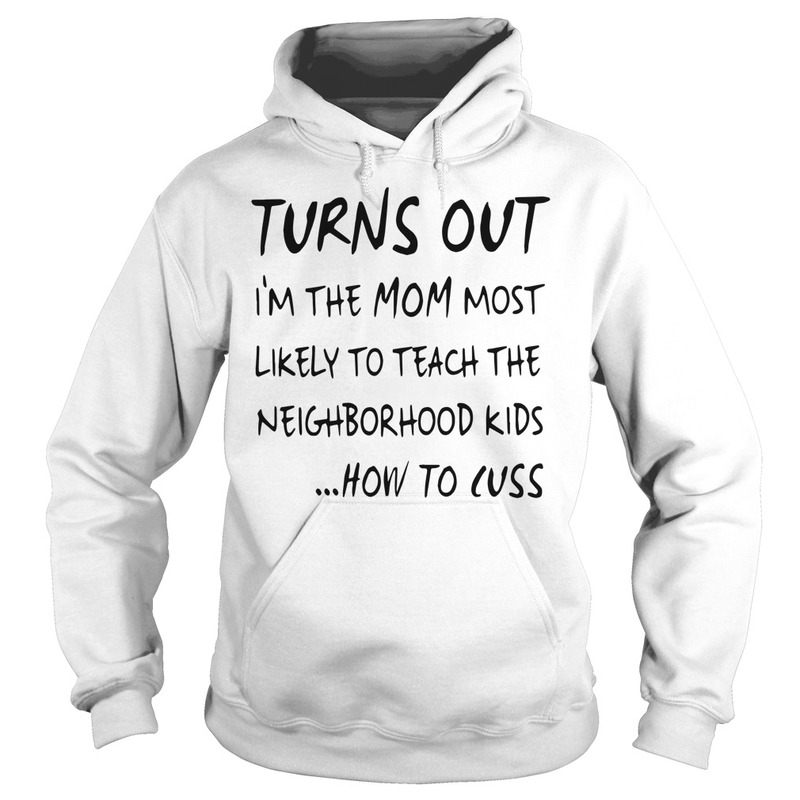 My kids are 20, 16, 14, 11, 7, 6, 5 and 4 (and 1 kid is shared by us and his bio mom and his Angel mom he stays with now… and he’s 10) Yes, that includes my foster daughters. They are part of our family. They are cared for just as my own kids and would never be treated any differently. They all eat 24/7, play outside constantly, we read bible stories, pray and sing praises to Jesus everyday. Also there are mammoth tantrums, toddler fights, Mama and daddy crying fits , arguments and discipline… We are NOT SPECIAL at all, we are just doing what God has called us to do. We love our big family! And we love all the kids that have come through our home. We even love the neighborhood kids that show up in our yard everyday to play. I love seeing 9 plates on my countertop each day for meals. I love my huge soup pots and my giant pans and my double oven ! I’m feeding an army and plus everything is cheaper in bulk! I love how all the kids want to help cook and all the kids have chores and everyone is taught how to do their own laundry. I love it most when my little ones dog pile me in the evenings and our 2 newest additions find their place close as they can to hear the story and the prayers…. And I love how they all wait in line for hugs and kisses. I love how Jesus gives Brandon and myself enough love to give each one of them. 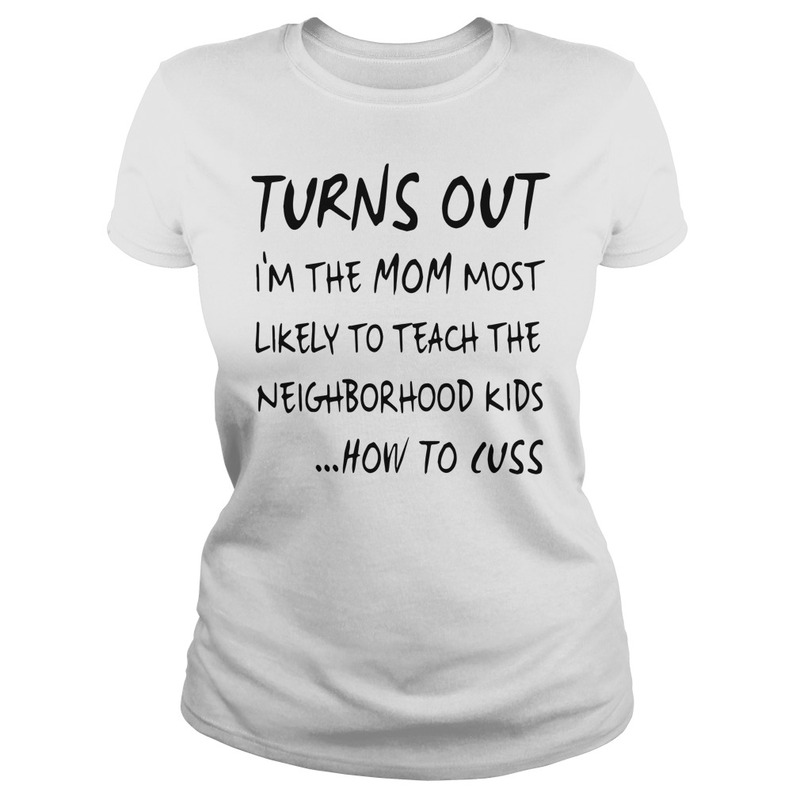 That’s Turns out I’m the mom who most likely to teach the neighborhood kids how to cuss shirt. I love 5:30am little girls lined up at my door waiting for their hair to be fixed and bows to be placed and hugs for the day to be given. And love when my little guy tells all the girls they look beautiful or gorgeous when they’re ready to go!